Of course, ripening is ideally not the kind of thing that you have to do to your fruits, but sometimes needs must! I was a little on the late side planting out my tomatoes this year, which is a grave error since if the plants don’t get big enough before the heat sets in they really don’t bear much fruit in the warmest part of the summer and I end up with loads of green tomatoes at the end of the season. Last year, I am fairly certain that I harvested more green tomatoes than red! I have resolved firmly that I will start extra early next year. Quite a difference, as you can see! They taste pretty good, too. I feel heartened that there is still hope for my greenish-reds. And these look beautiful, too! I love how low tech it is. I’ve done it with avocados before, but this is my first time with tomatoes. Grandpa used to place his green tomatoes in a paper lined drawer of an old dresser. They, too, ripened eventually. Your method sure did work well. Enjoy them. It will be months before we’ll be able to enjoy any again. We made a nice tomato sauce from them right after I read this comment, and I made sure to savor the last taste of summer! 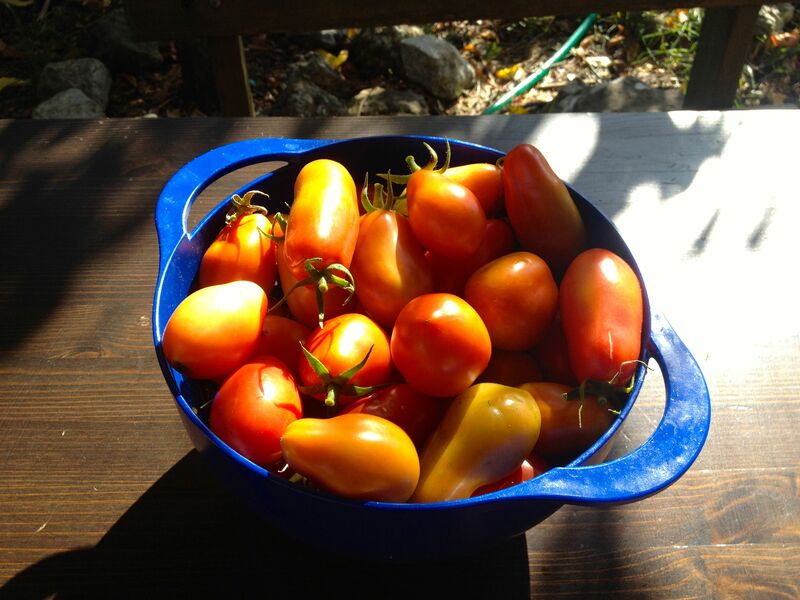 It must be nice to watch the tomatoes ripen – I imagine them all lined up like little animals basking in the sun. Nice looking tomatoes. I’ve had good luck ripening them in boxes between layers of newspaper. That sounds good – can you keep them a while that way? I checked them every few days as they ripened differently because I had about 8 different varieties. 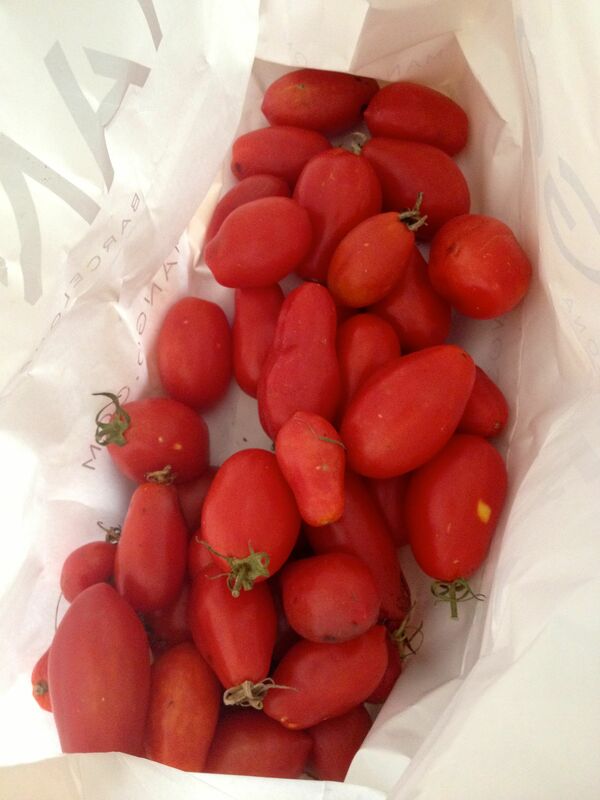 I used them as they ripened…I don’t think you can keep them any longer than a fully ripened tomato.